I’m pleased to have author Debra Sennefelder from Southwestern Connecticut here to speak about her writing and new release, Death Wears a Little Black Dress that’s on blog tour with Escape with Dollycas into a Good Book. Welcome, Debra. How long have you been published? What titles and/or series have you published and with which publisher? Have you self-published any titles? Please give details. 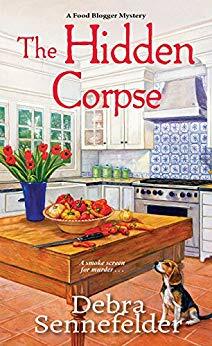 I’ve been published since April of 2018 when my debut novel, THE UNINVITED CORPSE, book 1 in the Food Blogger mystery series was published. MURDER WEARS A LITTLE BLACK DRESS is my second novel to be published. Congratulations! Tell us a little bit about your books. 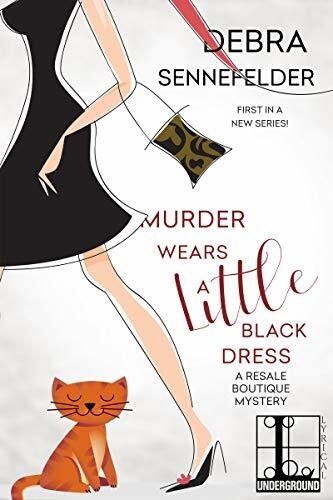 MURDER WEARS A LITTLE BLACK DRESS is the first book in the Resale Boutique mystery series featuring Kelly Quinn, an out-of-work fashionista who inherits a tired, old consignment shop from her grandmother. Kelly discovers that there is a little black dress in inventory that could hold the key to a murder. My other series, the Food Blogger mystery series features former magazine editor turned food blogger, Hope Early as she settles back into her hometown after a failed attempt to win a reality baking competition show and a messy divorce. The second book in that series, THE HIDDEN CORPSE, will be released on March 26th and book three, THREE WIDOWS AND A CORPSE will be released sometime in November. Excellent. They both sound like interesting books with great concepts. My goals are to continue writing books in both series for the foreseeable future. I’ll continue to do what I’m doing now, showing up daily at my computer to write. I think my books will attract readers who want to settle in for a fun time with a friends. I know I do when I pick up a cozy mystery. I enjoy visiting the cast of characters in cozy mysteries, it’s like visiting old friends and catching up on what’s going on in their lives. I feel the same way. The folks in Cobble Cove in my mystery series are friendly, quirky, and people you’d love to chat with over tea except for the killers, of course – lol. I would advise them to continue improving their skills and not to give up. There’s so much rejection in this career that it can become overwhelming and sometimes it feels like you take a step forward and before you know it, you’re knocked back two steps. The frustration is real. I would encourage others to not give up. That’s important advice. You’re right about the rejection in this field. It can be overwhelming, so persistence is the name of the game. There were rejections and the doubts that coincided with those rejections. It’s so easy to focus on the negative. One thing that was a constant struggle was the negative self-talk. I had to realize I’d never say those things to my critique partner or any of my writer friends, so why was it okay to say it to myself? Limiting that type of behavior, it’s very hard to completely banish, I believe is a necessary step to becoming a better writer because I was able to focus on my strengths. 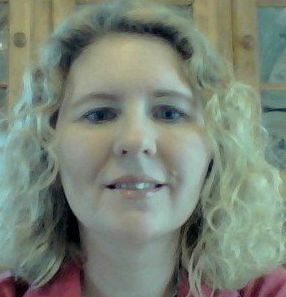 I belong to Sisters in Crime and the International Thriller Writers Associations. I’m members of both those groups, too. I enjoy cooking and I love to bake. I have two Shih-Tzus so I enjoy long walks with them. I love to exercise, yes, really. It’s a great way for me to clear my head. And of course, I love to read. I used to bake but don’t have the time right now. I have dogs instead of cats, but I exercise daily. I agree it helps to clear your mind and relax. The best thing about being an author is that I get to tell stories. It’s really the coolest part of the job. I love brainstorming ideas and putting the plot together like a jigsaw puzzle. The thing I like least about being a writer is balancing all of the responsibilities that come along with writing. It’s a challenge to juggle the numerous tasks that involve managing a small business, which writing is. Writing the next book is the most important thing I do as a writer, but all the other work needs to get done. I’m always striving to improve my time management skills. I agree. Time management is so essential to writers especially those who work full-time and have a family. I love the small-town charm of cozy mysteries and the intrigue of small-town life. The secrets that are kept from neighbors, the indiscretions not talked about and the fact that most everyone knows everyone else. I love writing a strong protagonist who is determined to see that justice is served regardless of what she has to go up against. She’s an ordinary person thrown into an extraordinary situation and usually faces direct threats on her life. You’ve put my feelings about cozies into words. Yes, here’s an excerpt from the beginning of MURDER WEARS A LITTLE BLACK DRESS. It’s day one of a three-day sale to liquidate merchandise in order to revamp the shop into a more trendy consignment shop Kelly had recently inherited. Kelly Quinn turned her head to the raised voice of the woman standing at the sales counter. She held a midi-length floral dress with cap sleeves in one hand while her other was propped on her hip. “Irene, you know the store’s policy on markdowns,” Pepper Donovan answered with a smile. She always had a smile, except for when Kelly announced she was making changes to the consignment shop. “How on earth am I supposed to earn any money? Martha never put merchandise on sale,” Floral Dress Lady countered. As Kelly made her way across the shop, she was well aware her grandmother didn’t do a lot of things, and that was why, in the past few years, the shop’s earnings had steadily declined. Kelly bristled at being called a child. She’d just celebrated her twenty-sixth birthday three months ago and, up until forty-five days ago, she had a full-time job with a well-laid-out career path and her own apartment, albeit it tiny, in the West Village of New York City. How many children could say that? “I was just reminding Irene of the store’s pricing policy.” No doubt Pepper was trying to remind her new boss about the agreement every consignee signed. She was younger than Kelly’s late granny but still old enough to feel she should be in charge. Kelly didn’t need to be reminded. She was familiar with the document, as well as many other documents pertaining to the shop. The past few weeks had been filled with reviewing papers, meeting with lawyers, and sleepless nights because of her new acquisition. “When you consigned your clothing, you signed an agreement, which stated how merchandise is priced. After seven weeks, merchandise is marked down by seventy-five percent,” Kelly said. “I see.” Floral Dress Lady stretched out her arm, and the dress dangled from its hanger while she admired it. “So, this lovely dress that cost me way more than the original consigned price is now a mere ten dollars?” Her brows arched, and her glare intensified. “It’s important to keep turning over merchandise. Especially out-of-season clothing.” When Kelly had gone painstakingly through every item in inventory, she found a bunch of spring/summer clothing that should have been cleared out months ago. “When customers see new stuff, they tend to buy more. This translates into money for our consignees.” Kelly hoped the explanation would appease the woman. Irene Singer gave Kelly a stern nod as if her name should have meant something. It didn’t. The bell over the front door chimed, prompting Kelly to glance over her shoulder. More shoppers. She needed to wrap up this dispute over the pricing. There wasn’t going to be any appeasement with the woman whatsoever. Frustration bubbled in Kelly. She hadn’t worked a sales floor since fashion school, and after graduating, she didn’t think she’d ever be back to arranging displays, restocking inventory, or handling cranky customers. Yet, there she was. The new owner of the Lucky Cove Consignment Shop soon to be renamed Curated by Kelly Resale Boutique. The name change reflected Kelly’s vision for a trendy consignment shop for locals and tourists. The cat on the cover of the book is based on the cat we had for fourteen years. His name was Howard, and that’s the cat’s name in the book. Like Kelly, in MURDER WEARS A LITTLE BLACK DRESS, I went to fashion school and studied Fashion Buying and Merchandising. I also had a food blog before shifting my focus to pursuing publication. Awww. As a cat lover who’s featured my cats in my books, I can relate. It seems you also have a good background for the topics you write about. Thanks for chatting today, Debra, and I’m sharing the info of your blog tour below. Best wishes on your new release and future publications. 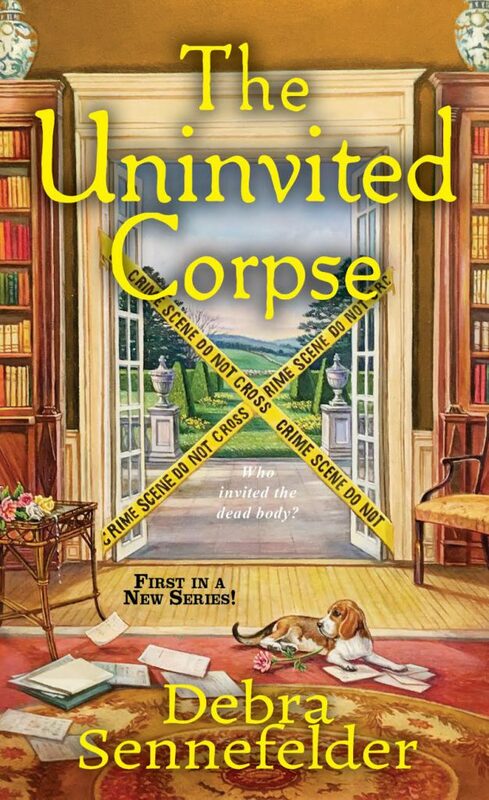 It’s my pleasure to feature a spotlight of Debra Sennefelder’s new cozy mystery release, The Uninvited Corpse on tour with Dollycas Escape into a Good Book.